ENTERTAINMENT ARENA EXPO 2018 was a success! 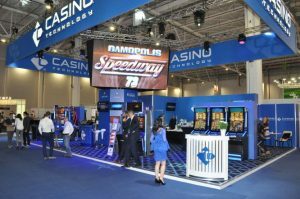 - Casino Inside - The gambling industry magazine! ENTERTAINMENT ARENA EXPO 2018 was a success! Home » Events » ENTERTAINMENT ARENA EXPO 2018 was a success! This year, ENTERTAINMENT ARENA EXPO turned out very well, everything taking place in spacious and modern hall which made everything look over the top. The organization, as always, was very good even though it can always be better, the majority of participants being satisfied. Expo 24 gave us a short briefing from which it resulted that the number of exhibitors and visitors was relatively equal to the previous edition, with a slight increase in the number of visitors: 61 exhibitors, 2490 sole visitors, 4018 total entries of visitors.The detailed statistics will be available later and we are going to present them at the right time. 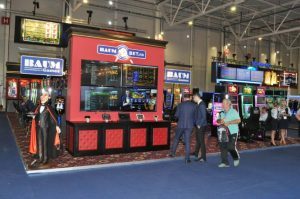 “For us, Entertainment Arena Expo 2018 was a successful edition. 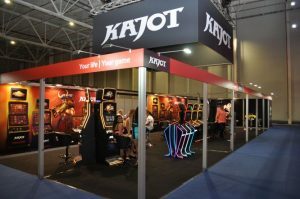 Get’s Bet played an important role within the fair promoting new products and a new and modern image brand. It is the fifth year we are participating to the EAE with a stand. 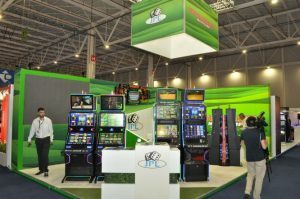 It has always been a good opportunity to meet with actual and future partners and it has been the place were we have successfully launched the Get’s Bet betting terminals. 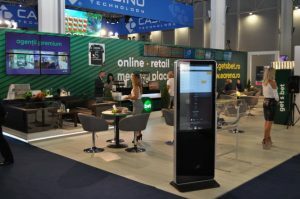 These have allowed us to conclude a multitude of new partnerships, our terminals catching the people’s eye through their design, software and interface, all which are very player-friendly.